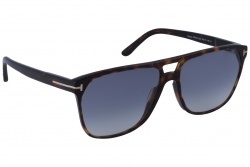 Tom Ford glasses for men are characterized because of their simplicity. They don't have many details. In this way they conquered the public, using lines and classic colours in order to obtain sophisticated and elegant models. It doesn't mean that the brand don't risk in its models. Tom Ford follows all trends. 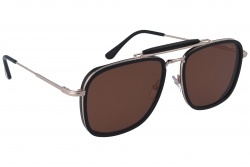 The brand shows in its models the different European and American influences. 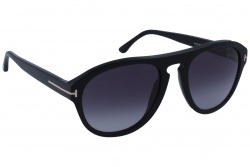 Tom Ford sunglasses for men are in trend. Through the use of double bridges or the coloured shields, the brand has incorporated modern touches to its models following the last trends. 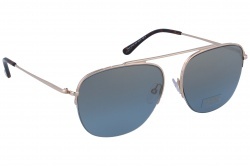 Its masculine designs are characterized by its square and aviator shapes, although it is possible to find some round or rectangular model. 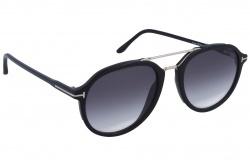 It uses materials such as the acetate, and most of its models are made with it. Thanks to this material it is able to create different effects with thickness frames and other thinner. On the other side it also uses metal, achieving a more attractive effect because of its simplicity and fineness. Regarding its lenses, in most of them the brand uses the black, brown or dark green colour but it also bets for striking colours in some occasions. 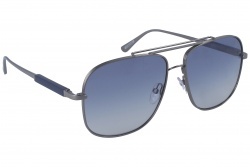 All its lenses count on a 100% UV protection and it uses first quality solar filters. 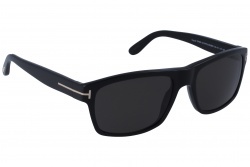 According to this it is important to mention that Tom Ford has some polarized models. 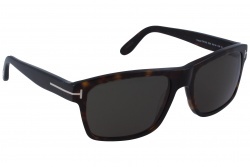 In all its lenses is possible to find the brand's name. 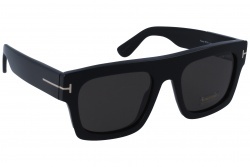 Inside the Tom Ford eyeglasses for men, the brand proposes a series of models with a serious and formal personality. 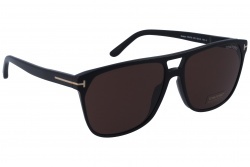 Through straight lines and frames with dark colours Tom Ford achieves an elegant touch in its glasses. In spite of its short career, Tom Ford is one of the most known brands all over the world. 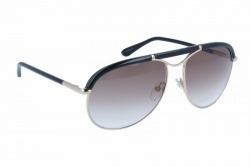 There are many famous people that choose glasses from this brand for different occasions. Brad Pitt or Ryan Reynolds, have been seen wearing Tom Ford glasses.